Libya has turned into chaos since the 2011 uprisings, that toppled the dictator Muammar Gaddafi, and it is now divided between armed factions battling for territories without reaching a national unity. For three years, the country seemed to survive, until in August 2014, an Islamist backed group expelled the internationally recognized government from Tripoli and took the capital. From the clashes of that summer, two major political poles emerged in the country: the internationally recognized House of Representatives, operating in Tobruk, and the General National Congress, based in Tripoli. This led to a fragmentation of the territory, resulting, consequently, in a seriesof different zones of influence, neither of which able to govern over the entire country. During this period, hundreds of thousands of people have suffered from the State’s collapse, having been displaced from their home and decimated by the war. Over this last year, the increasingly significant threat of a collapse of the economy, together with the rise of Daesh, more and more deeply rooted throughout the Libyan territory, led the international community to push towards a unification of the country. Following more than a year of negotiations under UN guidance, last 17 December, representatives from both sides gathered in Skhirat, Morocco, and signed a deal with the aim of unifing the government. One of the positive outcomes of this agreement would be to the creation of a government formed by 17 people headed by Fayez el-Sarraj, and to be based in the Libyan capital. Nevertheless, critics to the deal argue that Westerns might have put too much pressure to rush the finalization, without giving it the correct support, needed from powerful factions across the North African country. The question of ensuring effective representation to the conflicting parties was one of the major issues tackled by the UN mediators and Western governments since the very beginning of the negotiation process. Unfortunately, neither of the two big poles could count on broad public support and both lacked direct control over the military alliances which they were associated to. The UN-led mediation tried responding to this fragmentation, by convening multiple tracks of dialogue. However, the skepticism is not only about inclusiveness, but also about security concerns. In a recent report, published after the signing of the agreement, the International Crisis Group, warned about the risks posed by the deal, stating that “granting recognition to a government that has insufficient backing will condemn it to irrelevance”. Critics argued also that another of the major shortcomings of the agreement is that it has left security arrangements of the ceasefire open,this implies negotiations with the armed groups that control the capital, whose outcome is still unclear. The Rome Conference of the 13th December was the beginning of a broad international support group to the Libyan peace process, which could be helpful in the future, and providing Americans and Europeans to prevent any initiative from regional powers that might escalate the conflict. The attack on oil installations on 25 December highlighted the need for immediate application of the agreement. The UN Security Council called again on the new Presidency Council to work within the 30 days prescribed by the Agreement to form a Government of National Unity and to finalize the interim security arrangements needed to stabilize the North African country. Prime Minister Faiz Al Siraj unveiled the cabinet in a Tunis hotel on 18 January, with 48 hours delay, hoping the new government would be able to unite Libya’s two warring parliaments in Tripoli and Tobruk, and to concentrate on defeating Daesh forces. The government was welcomed by the UN Special Representative in Libya, though doubts over its effectiveness remain. The most immediate obstacle will be to persuade the militias to allow this new government into Tripoli, and then decide on who will command the armed forces. Looming over the entire deal is the spectre of the Daesh group. A continuing expansion of the group, as the one we witnessed over the last year of civil war, would severely undermine the credibility of the newly appointed unity government, which the public (in the Western and Middle-East world) will measure foremost by its success in dealing with the major security challenges. Earlier in January, 60 police officers have been killed in a suicide attack near a police training camp in the Libyan city of Zliten. The attack came amid fears that the radical group is trying to undermine what seems to be an already fragile agreement. Despite Daesh’s clear intervention to use Libya as a hub for expanding its activities in North Africa, the EU has ruled out from the very beginning a direct military intervention. European leaders said they will start providing economic assistance, beginning with 108 million USD to help defeat Daesh on top of humanitarian assistance that has already been promised by Brussels. After the establishment of the new government, Western governments are already making plans for military support in Libya, helping secure the new government, and creating a credible national army. Military intervention in Libya has long been planned by several western countries in the last months. Nevertheless, to decide for the intervention, a legal framework must be established, and this can only happen as soon as the Libyan unity government begins to function. To be fully operative, the GNA needs the vote of confidence by the House of Representatives. According to the terms of the Shkirat agreement, this will happen only starting from the 27th of January, but there isn’t still a clear date. Of course, foreign military intervention in Libya is not something new: in 2015 the United Arab Emirates launched airstrikes in support of the Libyan National Army and in the same year, the US launched two airstrikes, killing two Islamic State’s leaders. Yet, Western powers are fully aware that, in order to defeat Daesh, ground forces are needed. 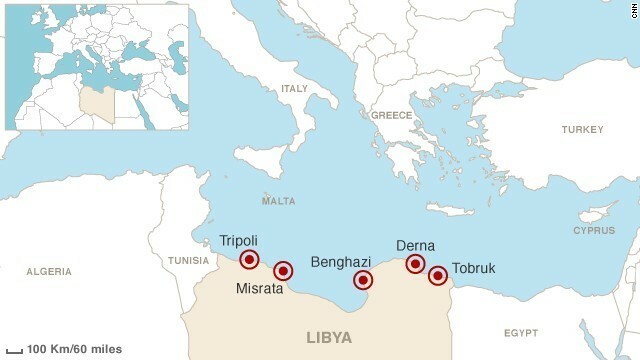 Preparations seem to be already underway, as Germany, Britain and Italy have in several occasions raised the prospect of participating in a military operation in Libya. Among other factors, one of the biggest concerns that stems from the prospect of an intervention is the awareness that it could seriously damage Libya’s oil and natural gas sector, which has already been crippled by violence from Daesh and attacks related to the long going conflict between militias, vying for power in the country. Libya is now producing about 400,000 barrels a day, about a third of its normal capacity, and with the still low oil production, due to the ongoing conflict and the fluctuation of oil prices affecting the world as a whole, the international community fears the GNC could face state bankruptcy by the end of this year. The Skhirat agreement is a big step forward, but it is still not enough. To be effective, the new government, , should include the various wishes of the Libyan population, including tribal minorities, cultural and religious minorities. An effort should come also from international economic institutions, which should help the country to restructure the economy, especially in a moment where the oil price has fallen. As for the domain of security, there is a clear need for an external party to monitor the implementation of a ceasefire and security arrangements, while on the other hand, the eventuality of an international force would open the door to allegations that the agreement is the first step toward Libya’s occupation by foreign powers: a foreign military presence would damage the agreement’s standing and its implementation. Editor | Pilar graduated in International relations and, soon after, started researching on the Middle East security situation. Now she is a Junior Consultant in WFP. Previous ArticleFrance and the next presidential election: will the 2017 be the year of right wing’s success?